What is the "foundation" of your makeup routine? Why foundation of course! And it is extremely important that your foundation be of the highest quality, have the best ingredients and perform to the best abilities available. That is why PÜR Beauty has created Bare It All 4 in-1 Skin Perfecting Foundation. This is Makeup You Can Live Your Life In. Skin is the sexiest part of the body and this high performance, 12-hour demi-matte foundation helps to cover imperfections and instantly perfect the skin while helping to correct problem areas over time so you can confidently bare it all. Designed for face and body and formulated with PÜR’s proprietary Energy Complex and Ceretin® Complex, this formula renews the look of your skin and goes the distance. The Energy Complex is a combination of green tea, ginseng and B vitamins that stimulate the skin's metabolic renewal process. Ceretin® Complex helps to smooth, firm and lift the skin's appearance for an ageless complexion. Agave hydrates and nourishes the skin. It will not fade, quit or crumble under any condition you may face throughout your day. It wears for a full 12 hours long. It is a full coverage foundation, so anything you want to be gone is gone. Imperfections are covered. That means blemishes, freckles, pimples, birthmarks and anything else. This is what makes this particular foundation so wonderful. 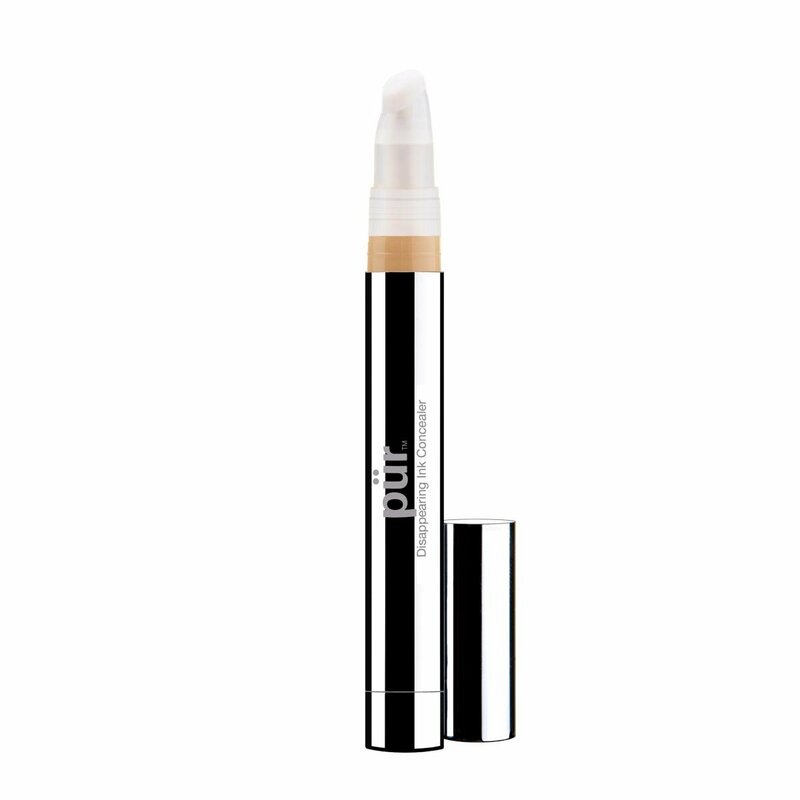 The aforementioned foundation is PÜR's first full coverage face and body foundation. 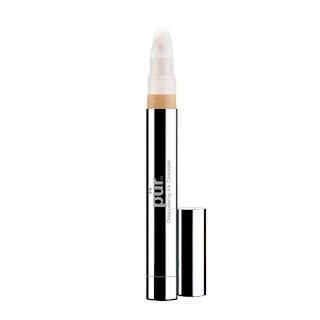 Personally, I like to use the foundation as concealer, I just work it up under the eye area, just a tiny bit and I feel it works wonderfully as a concealer. Use the Skin Perfecting Concealer Brush ($22.00) to blend it in. The foundation comes in 10 shades, from the lightest Porcelain to the darkest Deeper. I wear Porcelain and I think it matches my skin beautifully. If I had to in a pinch I could even wear Light, the second lightest color. Here are the colors from lightest to darkest: Porcelain, Light, Blush Medium, Golden Medium, Light Tan, Tan, Dark, Golden Dark, Deep and Deeper. I like that they have a lot of shades for women of color. There are some shades for women with lighter skin but not too many shades for women with medium skin tones. I would say you might have to purchase two shades and do some at-home mixing to get the shade you want. All of the shades are very warm. They are not cool toned at all. How well does it wear? How is this foundation applied? Well, I can say this, it wears wonderfully! Apply the foundation either with the Skin Perfecting Foundation Brush ($28.00) or the Skin Perfecting Concealer Brush. Using the Skin Perfecting Foundation Brush, apply Bare It All all over the face blending from the center of the face and sweep outward. If you like, use Disappearing Ink 4-in-1 Concealer Pen ($23.00) with the Skin Perfecting Concealer Brush on top of Bare It All and set with a dusting of 4-in-1 Mineral Makeup. 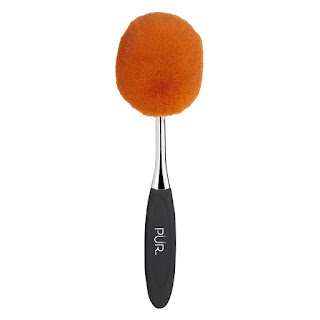 Personally, I feel that these brushes apply the foundation as if by magic. 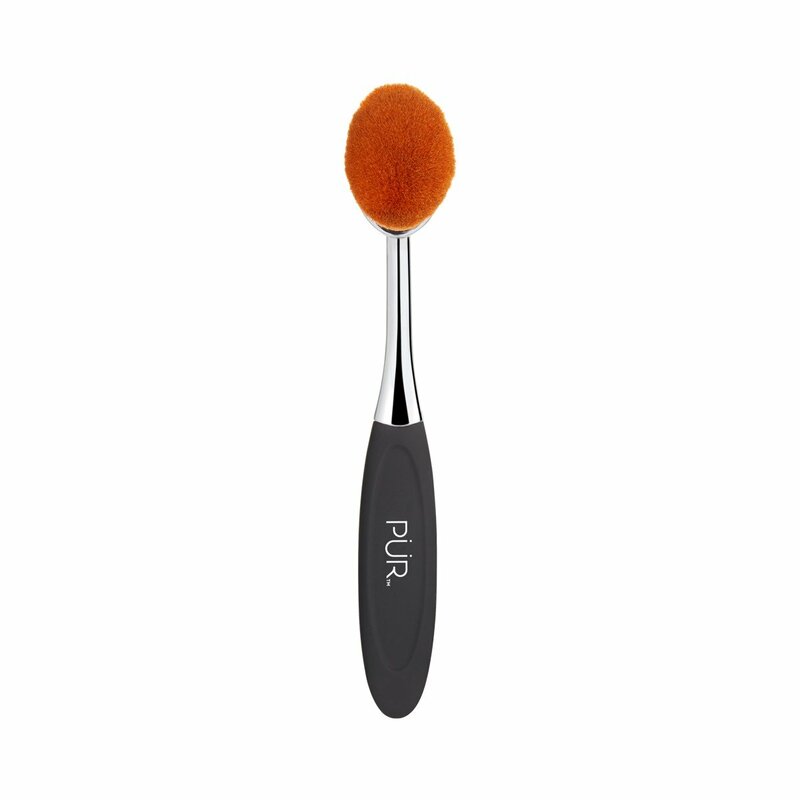 The large angled foundation brush applies product faster and more evenly without streaking. The small, soft versatile, angled concealer brush allows you to easily apply product to the contours of your face for a more natural blended effect. 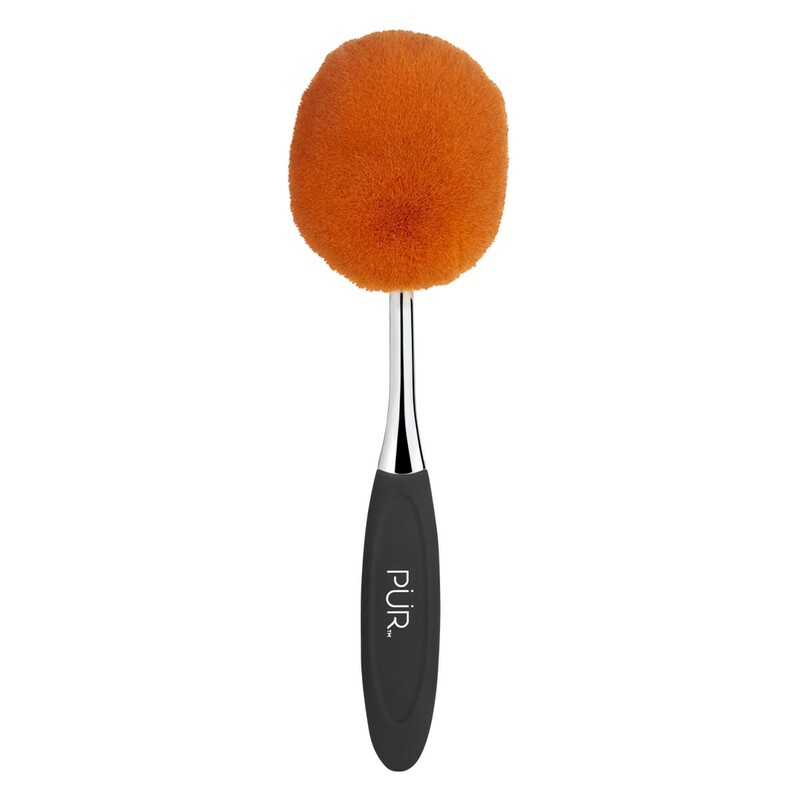 To use: apply makeup directly to the brush and apply to skin with long strokes. These are better than any other foundation and concealer brush I have ever used. Even better than any sponge I have ever used. The price of each brush is worth EVERY penny. The foundation does not stay on the brush, it stays on your face and is blended perfectly onto the skin. Bare It All is vegan, gluten-free and paraben-free. I am very happy with this foundation. It is currently my favorite and I have been wearing it every day. PÜR Beauty Bare It All Foundation retails for $39.00 and is available online at www.purminerals.com, www.ulta.com and www.kohls.com. It is also available in the following stores: Ulta and Kohl’s. 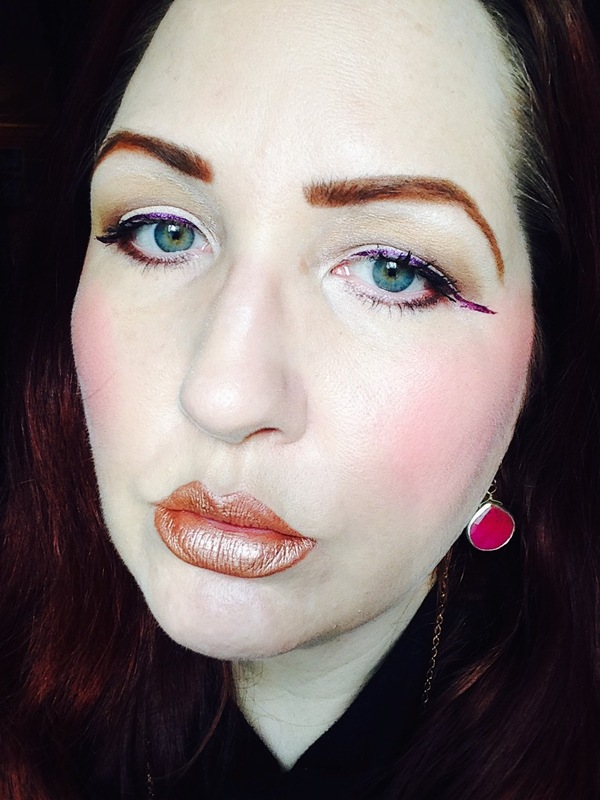 Like pürminerals on Facebook https://www.facebook.com/PurBeautyCosmetics/; Follow pürminerals on Twitter:@purcosmetics; Follow pürminerals on Google+: https://plus.google.com/+PurmineralsUS; Subscribe to pürminerals on YouTube: https://www.youtube.com/channel/UC5sIrqjvZLPO5Dj3Jpa2T6Q; Follow pürminerals on Pinterest: https://www.pinterest.com/purcosmetics/; Follow pürminerals on Instagram: https://instagram.com/purcosmetics.